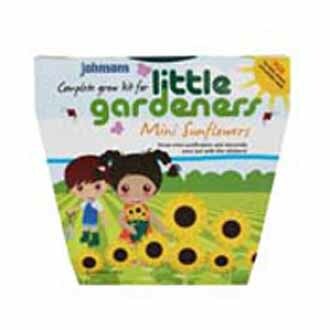 Grow cute mini-sunflower 'Little Leo'. These adorable, brightly coloured flowers are easy to grow and ideal for a sunny patio. Includes seeds, compost plastic pot, fun fact and activity sleeve and stickers to decorate your pot.